The chat was moderated by Dwayne Brown of NASA’s Office of Communications. OSIRIS-REx Deputy Program Scientist Melissa Morris of NASA headquarters noted the mission’s spacecraft will enter orbit around Bennu on December 3. from where it will map and study the asteroid for the purpose of selecting a landing site. If all goes well, a sample of rock from the landing site will be taken in July 2020 and will be returned to Earth for analysis in September 2023. Hal Weaver of the Johns Hopkins University Applied Physics Laboratory(JHUAPL), New Horizons Project Scientist, emphasized the mission’s second target following its 2015 Pluto flyby will be the most distant object ever visited by a spacecraft. New Horizons will fly three times closer to its second target, Kuiper Belt Object Ultima Thule, than it did to Pluto, and will make its closest approach at 12:33 am EST on January 1, 2019. In a pre-recorded message, Thomas Z., Associate Administrator of NASA’s Science Mission Directorate, and Lori Glaze, NASA Science Mission Directorate Planetary Science Director, listed five reasons for exploring Bennu and Ultima Thule. First is that studying the compositions, orbits, and physical properties of small objects like these will help scientists understand not just these objects but the origin of the the Sun, Earth, Moon, planets, asteroids, and comets. Second, understanding the distributions of organic molecules, water, and other volatile compounds on these worlds can inform scientists about how these materials, which are essential for life, formed in space. Organics are complex carbon molecules that are not life itself but contain the precursors for life. Third, small worlds provide a window into the physical properties that continue to shape our solar system today. Fourth, determining the orbits and physical characteristics of objects that could potentially impact Earth is critical for understanding the consequences of such an impact. Fifth, small worlds may host mineral resources that human space explorers could find useful during future outer solar system missions. Both spacecraft are equipped with cameras to photograph the worlds they are observing. OSIRIS-REx’s suite of cameras have already captured an image of the asteroid rotating. New Horizons has both black-and-white and color cameras. 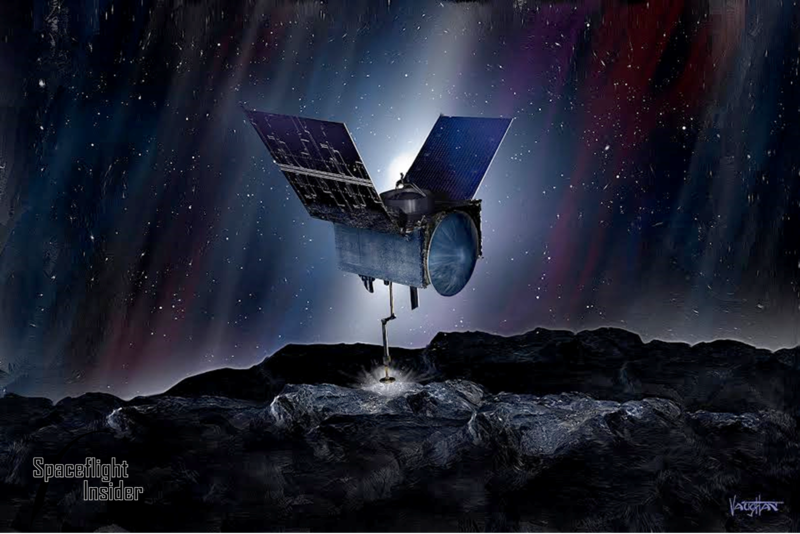 After arriving at Bennu, OSIRIS-REx will begin the “asteroid operations” phase of its mission, which will include several flybys of the asteroid, and begin two years of in-depth studies of it, Morris said. The sample return capsule that will carry the samples home were built with proven technology and are unlikely to lose any material along the way, she added. “Bennu is an asteroid without any atmosphere in the harsh radiation of space,” meaning life is very unlikely to have survived there. she explained. The main purpose of keeping the samples secure is to assure scientists do not inadvertently contaminate them with Earth microbes following the samples’ return. Ultima Thule is a completely different type of Kuiper Belt Object than Pluto, as it is composed of pristine materials that have remained unchanged since the formation of the solar system four billion years ago. Carey Liss of JHUAPL, New Horizons Planetary Scientist, said every stellar system has a Kuiper Belt of its own. New Horizons is the first mission to visit such a belt. Kuiper Belts are located at the edges of their systems where there was not enough material to make giant planets. Like KBOs, asteroids can be composed of pristine materials from the early solar system. Some are just leftover pieces of material that never formed planets while others are the result of collisions between larger asteroids. Bennu was likely formed by such a collision while Ultima Thule has never been perturbed by any object and has remained the same since its formation. A very dark object, Bennu reflects just three percent of the light it receives from the Sun. This could mean it is covered in carbon and organics, the building blocks of life. Scientists seek to understand how common these building blocks were in the early solar system, explained OSIRIS-REx Planetary Scientist Amy Simon of NASA’s Goddard Space Flight Center. The main difference between asteroids in the inner solar system and KBOs in the outer solar system is that the latter are mostly made of ices and have water ice while the former do not. In the outer solar system, water ice is as strong as rock and can build mountains. “Ultima Thule never melted, never differentiated, never made a core even like our planet Earth has” and unlike many asteroids, Liss stated. OSIRIS-REx is the largest sample return mission since Apollo and the first NASA mission to return asteroid samples, Morris said. “We’re very excited to bring these samples back, and a good portion of those samples will be curated for future generations of scientists. Ultima Thule will remain a mystery until the day before closest approach. Scientists think it may be a binary system composed of two objects, possibly a contact binary in which two orbiting objects are close enough to touch one another. The KBO may also have some moons. Unlike OSIRIS-REx, New Horizons will not enter orbit around Ultima Thule, so it will get just one chance to collect data. “This is the frontier of planetary science,” Weaver said. New Horizons will fly by Ultima Thule at a speed of 32,000 miles per hour. OSIRIS-REx, in contrast, will engage in maneuvers that slow it down from 1100 miles per hour to one mile per hour to match Bennu’s orbit. Communications signals will take slightly over six minutes each way between OSIRIS-REx and Earth and 12 hours and eight minutes each way between New Horizons and Earth during the encounters. Lets also keep in mind Hayabusa2 is already orbiting an Asteroid Ryugu for a few months (a JAXA mission), it has already landed a couple robots and is getting ready for a sampling effort touchdown mission..